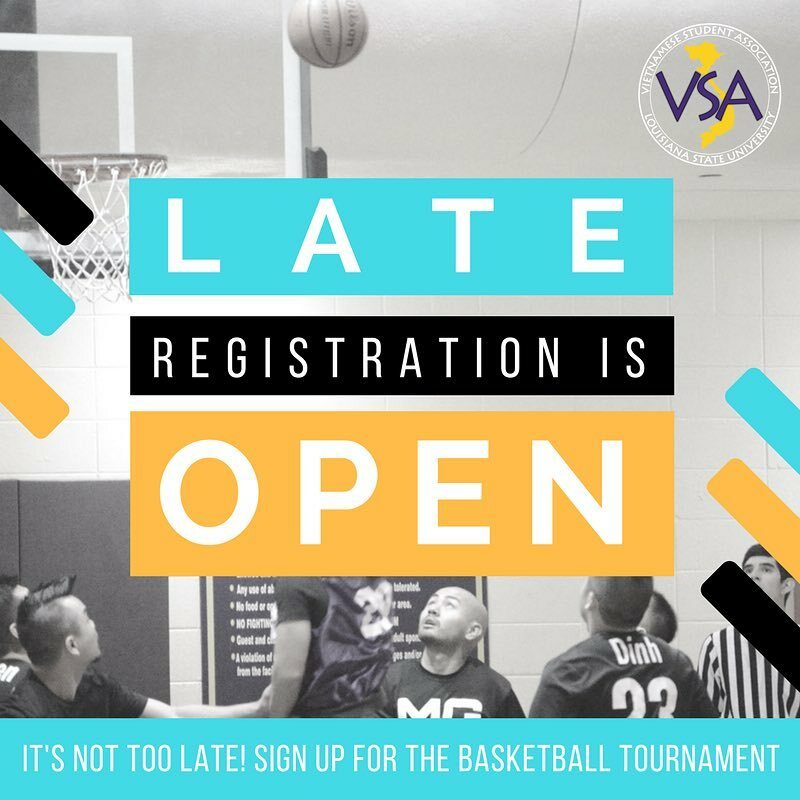 VSA-LSU’s Annual Basketball Tournament took place on March 10th and March 11th, 2018 at Louisiana State University University Recreation Center. Through sport and friendly competition, VSA-LSU worked to raise money for our Collective Philanthropy Project , Pacific Links Foundation, while also engaging with alumni and current members.The tournament served as a bridge to maintain and spark connection with alumni and reconnect alumni with one another. This year’s success contributed immensely to LSU’s total fundraised amount for Pacific Links Foundation. The outreach of the event increased hugely from previous years. The tournament allowed a maximum of twelve teams to sign up, and this year, VSA-LSU hosted twelve teams with a total of 106 participants. Eleven of the twelve teams had alumni from various VSAs, and the twelfth team was comprised of many current VSA-LSU members. VSA-LSU hosted players that originated from Texas, Oklahoma, Illinois, Florida, New York and different parishes of Louisiana. Outside of participants, family, friends, and VSA-LSU members attended the Basketball Tournament to support the players throughout the weekend. Financially, the tournament was made possible due to a provided budget from VSA-LSU, team registration fees, and the volunteering of VSA-LSU Executive Board. VSA-LSU granted Basketball Tournament a budget of $1000. Twelve teams registered in total, providing Basketball Tournament with an additional $3150. The costs that were incurred: University Recreation fees ($628.09), Referees ($612), LSU Police Services ($522.75), Prize Money ($750 total) and two trophies ($68.99). In years past, VSA-LSU was able to raise a couple hundred dollars for the CPP, and that was what was expected for 2018, too. Following the payment of what VSA-LSU owed, the E-Board was overjoyed to see what this year’s tournament accomplished. 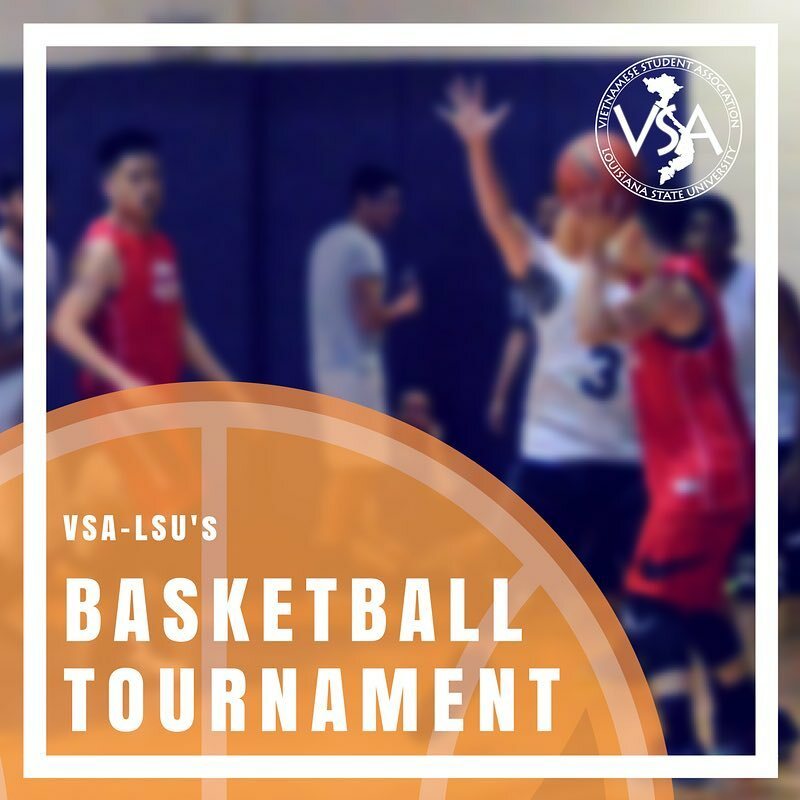 VSA-LSU’s 2018 Basketball Tournament was able to raise $1568.17, making it our most profitable fundraiser for the 2017-2018 year. This contribution to Pacific Links Foundation could not have been accomplished without the participants, LSU UREC, and the VSA-LSU members who came out to support. For current members, they were made aware of the Basketball Tournament through email, social media, and VSA-LSU general meetings. They were encouraged not only to participate, but they were also encouraged to come to the tournament and socialize. Members who did so received membership points; these points are totaled up throughout the semester, and the ten VSA-LSU members with the most membership points go out on a date with the VSA-LSU E-Board. The cost per team ($200 for early, $250 for regular, and $300 for late registration) seemed to discourage VSA-LSU members from forming a team; however, we managed to have one current generation team participate. 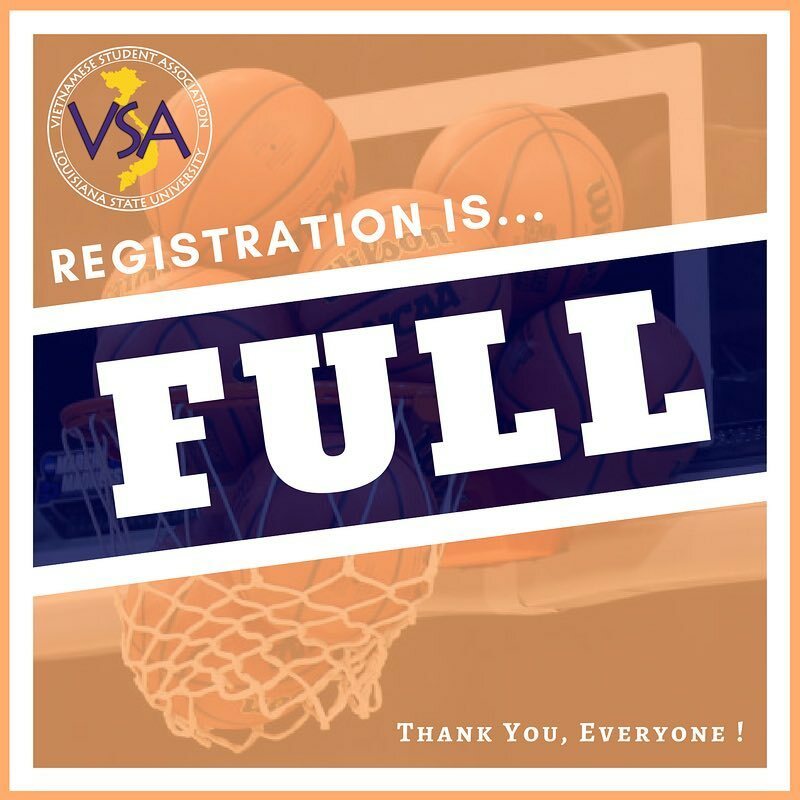 This event is heavily catered towards VSA alumni, but after planning and executing the tournament, we believe current member participation will increase for future years. Due to UREC renovations the previous year, the annual Basketball Tournament was not held in 2017. This proved to be difficult since no one on the current E-Board had ever helped plan the event. It was a struggle to plan and execute an event we had never seen. Linh Nguyen, one of the VSA-LSU senior advisors, acted as the only guide for preparation and reestablishment of the tournament. We also struggled immensely with team registration early on. We began reaching out to potential participants by emailing team captains from 2015 and 2016. We informed our members as well; however, it seemed as though there was a lack of interest. Luckily, a previous team captain and current VSA-LSU member, Joonwoo Nho, generated interest within current LSU students and other previous team captains. He was well known and respected in the VSA-LSU basketball community. It was discovered that teams had lost touch in the gap year, but mostly, teams did not want to register without knowing if other teams of past years would register. Eventually, teams came into contact with one another, thanks to Joon. The teams discussed amongst each other, and they decided to make a come-back at the tournament. Within a span of five days, we had seven teams register.